Sustainable consumption is all too often framed in terms of individuals’ choices. The social practice perspective offers an alternative model, argue Dr Daniel Welch and Dr Nicola Spurling. “Do you find it easy to follow a sustainable lifestyle? Do you switch off every light? Plan each meal to avoid food waste? Why is behaviour change so complicated?’’ asked a recent post on the Guardian’s Sustainable Business blog. But is the language of individual behaviour and ‘hard-to-break habits’ doing more harm than good when it comes to promoting sustainable consumption? Our work in the Sustainable Practices Research Group demonstrates that individuals’ behaviours are, primarily, performances of social practices. This practice perspective re-frames the question from ‘How do we change individuals’ behaviours to be more sustainable?’ to ‘How do we shift everyday practices to be more sustainable?’. The latest report from the International Panel on Climate Change makes clear – if we needed reminding – the scale of our environmental impact and the urgent need for a transformation towards sustainable consumption. But what does that mean? It was only in the 1990s that the conventional policy focus on producers was supplemented by a focus on consumers as key agents in environmental sustainability. It’s not that climate change has a more intrinsic relation to consumption than earlier environmental concerns. But in the developed world ‘consumer culture’, ‘lifestyles’, and individuals’ consumption, rather than production processes, increasingly became seen as the cause of the ecological crisis. In some respects that’s been a positive development. Sustainable consumption policy focused attention on the huge impact and ratcheting demand of domestic consumption and everyday activities. There’s no point in attacking a straw man: for as long as sustainable consumption has been on the agenda, all but the most naive or neo-liberal of policy makers have been aware of the inadequacy of making ‘consumers’ the sole agents of change. However, policy approaches to sustainable consumption have been dominated by behaviour change strategies that draw primarily on psychology and behavioural economics, employing inherently individualistic models. You don’t have to look far to see how sustainable consumption is consistently framed in terms of individuals’ choices, individuals’ attitudes and individuals’ moral failings. The SPRG’s research moves beyond these limited framings, recognising that we largely consume resources as part of the practices that make up everyday life – like eating or doing the laundry. Most people’s environmental impact comes not from a feckless pursuit of individual materialism, but in their use of resources consumed as part of goods and services necessary to live a normal life. While we may have degrees of choice in how we perform these everyday practices, our individual autonomy is constrained – by our access to resources, whether economic or cultural; by social norms; institutions; and infrastructures. The challenge for policy goes far beyond individuals’ choices and attitudes, to understanding how everyday life is shaped. Take, for example, vegetarianism: 5% of UK adults report being vegetarian or vegan. However, the fact that the other 95% of UK adults do eat meat is not simply an isolated matter of individual choice. Most people in the UK have a shared understanding, or cultural convention, that a ‘proper meal’ contains meat, vegetables and carbohydrates. But there’s a very deep seated model of human behaviour that we have a fairly stable set of beliefs, attitudes, or values, which inform what we choose to do. This is reflected in policy concern with the ‘value-action’ or ‘attitude-behaviour’ gap: the gap between the attitudes people report about sustainability in surveys and what they actually do. Obviously this isn’t to deny that people have values or attitudes, nor that they act on them. We all do. But it does challenge that model as the paradigm through which we understand behaviour in general. From a practice perspective this fundamentally overestimates the role of choice in routine behaviour, and fundamentally underestimates the extent to which behaviour is constrained by resources, infrastructures, norms and so on. A practice perspective asks us to look at the way in which practices themselves organise attitudes, values, and even desires and emotions. Doing the laundry might not seem much related to values or emotions. But think again. Doing the laundry is usually part and parcel of looking after the family. Sending the kids to school in dirty clothes is breaking social norms. Seeing values and attitudes as embedded in social practices, not individuals, helps us to understand how particular ‘ways of doing’ become deeply embedded within everyday routines. Does this mean that we’re completely locked-in? Well, no. The values and norms associated with laundry have changed over time – think about feminist struggles over gender roles and household chores. And of course values of sustainability have become part of doing the laundry. Sustainable consumers wash at 30C. And don’t you dare run a wash until there’s a full load! From the practice perspective, the value-action gap is less about individuals putting their values into action than about how new environmental values may, or may not, get integrated into the practices of everyday life. That crucially depends on the degree to which ‘sustainability’ competes and conflicts with the other values and goals inherent in practices – or how these might converge to make a ‘new normal’. Is flying to Spain on holiday wrong when it’s the one fortnight a year you spend with your kids in the sun? A flight from London to Madrid has the same carbon footprint as reading a broadsheet newspaper every day, but radical environmentalists don’t picket the Guardian. In principle, virtually any practice can integrate ‘sustainability’ into it as the primary value. That is of course how really committed environmentalists live their lives. But the history of the last 30-odd years suggests we’re not going to get very far, very fast, trying to convert everyone to a new green religion. So what are the answers? No one pretends it’s easy. But a first step is re-framing the questions. Dan Welch is a Research Associate at the Sustainable Consumption Institute, the University of Manchester. 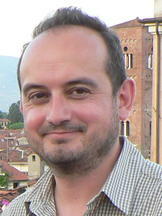 His research explores the use of theories of practice for addressing sustainable consumption and production. He was previously a researcher in the Sustainable Practices Research Group. 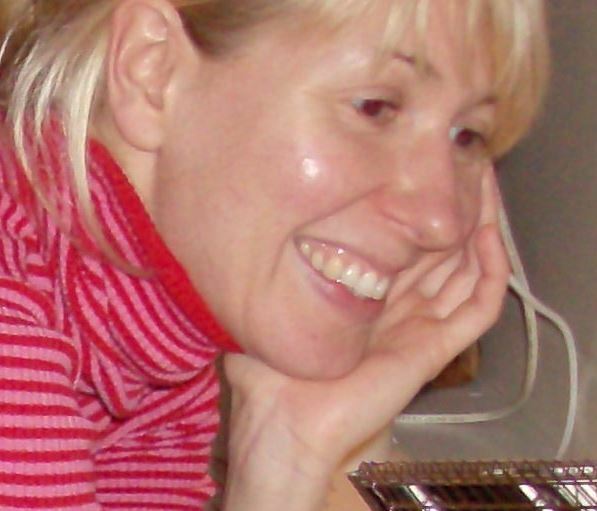 Nicola Spurling is Senior Research Associate in the DEMAND Centre at Lancaster University. Her research is about how social practices change, and the part that individual lives, institutions, professions and policy play in these processes. She was previously a researcher in the Sustainable Practices Research Group at the University of Manchester.